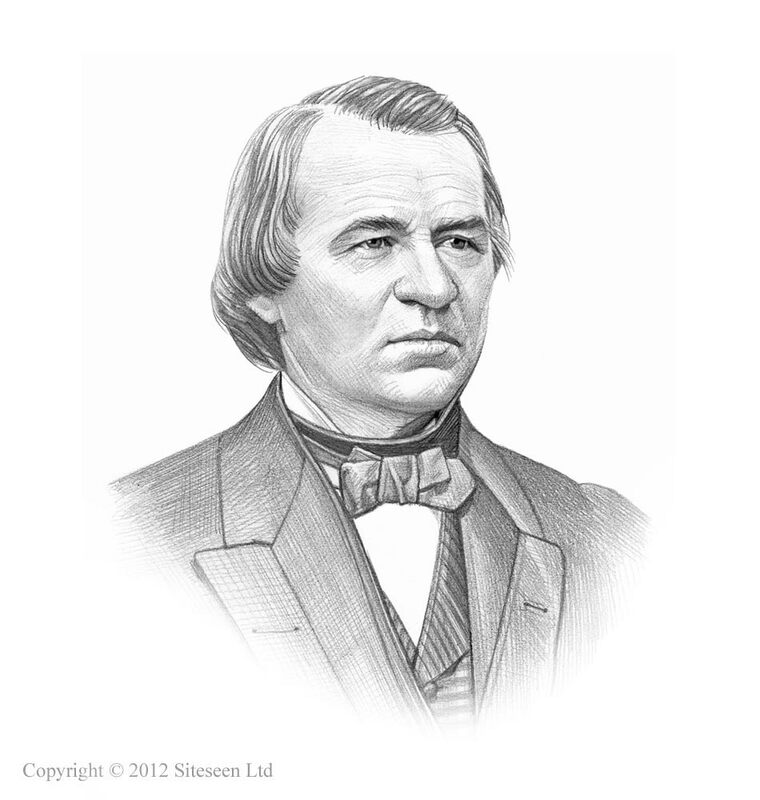 Civil Rights Act of 1866: Andrew Johnson was the 17th American President who served in office from April 15, 1865 to March 4, 1869. One of the important events during his presidency was the Civil Rights Act of 1866 during the Reconstruction Era following the Civil War. Summary and definition: The Civil Rights Act of 1866 was passed on April 9, 1866 under the full title of "An Act to protect all Persons in the United States in their Civil Rights, and furnish the Means of their Vindication". The Civil Rights Act of 1866 detailed the rights of all U.S. citizens, including the right to buy and sell property, engage in business, make contracts, sue and give evidence in court. The Civil Rights Act of 1866 was an important step in the struggle for equality. When were the other Civil Rights Acts? The law passed in 1866 was the first of several pieces of legislation called the Civil Rights Act. Additional Civil Rights Acts were passed in 1871 (Enforcement Acts), the Civil Rights Act of 1875, Civil Rights Act of 1957, 1964 and 1991. In addition between the years from 1964 to 1968 Congress enacted extensive legislation affording African Americans equal status under the law. The Civil Rights Act of 1866 part of the of Congress to take control of the Reconstruction of the union and ensure that slavery was eradicated in the United States after the Civil War. What was the Purpose of the Civil Rights Act of 1866? Civil Rights Act of 1866: What were the Black Codes? The Black Codes were laws that were introduced in the Southern States restricting black people's freedom and many Civil Rights preventing ex-slaves (Freedmen) to vote or serve on juries, requiring permission to travel, enforcing harsh labor laws, placing orphans placed into forced apprenticeships and unequal laws and harsh punishments. What were the Provisions of the Civil Rights Act of 1866? "Anyone who deprives a person of his or her civil rights as defined by the act is deemed guilty of a misdemeanor, punishable by a fine and/or imprisonment"
In addition "...anyone who attempts to prevent the arrest of someone who has violated the act’s terms is also punishable by a fine and/or imprisonment..."
The act further stipulated that the President can direct the resources of the government to enforce these provisions and punish those who violate them. The Civil Rights Act of 1866 was legislation that addressed the rights and equality of ex-slaves. An important part of the Civil Rights Act of 1866 stated that: "...all citizens would have the same right “to full and equal benefit of all laws and proceedings for the security of person and property, as is enjoyed by white citizens, and shall be subject to like punishment, pains, and penalties, and to none other, any law..."
Click the following link to access the full Text of the Civil Rights Act of 1866. Why did President Johnson veto the Civil Rights Act of 1866? The President Johnson vetoed the Civil Rights Act of 1866 on 27 March 1866 stating that blacks were not qualified for United States citizenship and that the bill would "operate in favor of the colored and against the white race." The Republicans in Congress were outraged and overrode the presidential veto on April 9, 1866. How did the Civil Rights Act of 1866 become law? The Civil Rights Act of 1866 was passed by Congress in a two-thirds majority over President Andrew Johnson’s veto as a response to the Black Codes enacted by many of the Southern states. It was signed by Schuyler Colfax, Speaker of the House of Representatives and Lafayette S. Foster, President of the Senate, pro tempore. The enactment of the Civil Rights Act of 1866 was the first time a Important piece of legislation was passed into law without presidential approval. The Civil Rights Act of 1866 overturned the Supreme Court’s 1857 Dred Scott decision in which the Supreme Court ruled that African Americans, whether enslaved or free, were not citizens of the United States. When was the Civil Rights Act of 1866 Passed? The Civil Rights Act of 1866 was a law passed by the Republican dominated Congress on April 9, 1866. What was the relationship between the Civil Rights Act of 1866 and the Fourteenth Amendment? The controversy of the Civil Rights Act of 1866 and the extension of the Freedmen's Bureau was raging between the President and Congress. Congress passed the Civil Rights Bill to protect the ex-slaves. The Civil Rights Act of 1866 provided that cases concerning the civil rights of the freedmen should be heard in the United States courts instead of in the state courts. President Johnson vehemently objected to this believing that Congress did not possess the power to take this action and vetoed the bill. Congress overrode his veto and then drew up the 14th Amendment. The 14th Amendment to the Constitution forbade the states to abridge (reduce) the rights of the citizens, white or black. The 14th Amendment further provided that the representation of any state in Congress should be diminished whenever it denied the right of the amendment to any one, except for taking part in rebellion. Finally it guaranteed the debt of the United States, and declared all debts incurred in support of rebellion null and void. Every Southern state, except Tennessee, refused to accept this amendment. Encouraged the belief that Reconstruction was a congressional, not an executive, function. Led to increased violent acts of Vigilantism and increased the membership of secret organizations such as the Ku Klux Klan. The Civil Rights Act of 1866 marked a milestone in the African American struggle for equality, and heralded further legislation during the Reconstruction Era. However Racial Segregation continued to be enforced by the Jim Crow Laws.